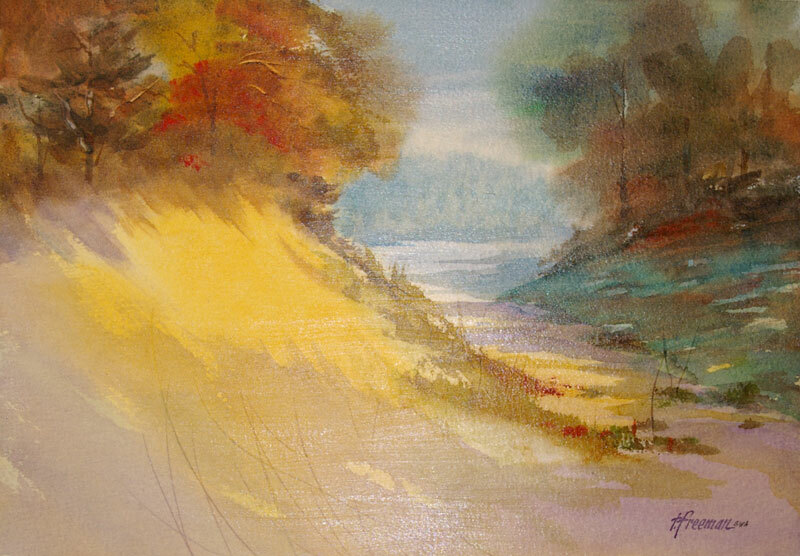 Thomas Freeman Original Watercolor Painting: "A Little Sunshine"
A very soft imaginative watercolor that I wanted to “fix,” permanently. So I covered it with acrylic gesso which is transparent and waterproof on the surface. It could be framed without glass.